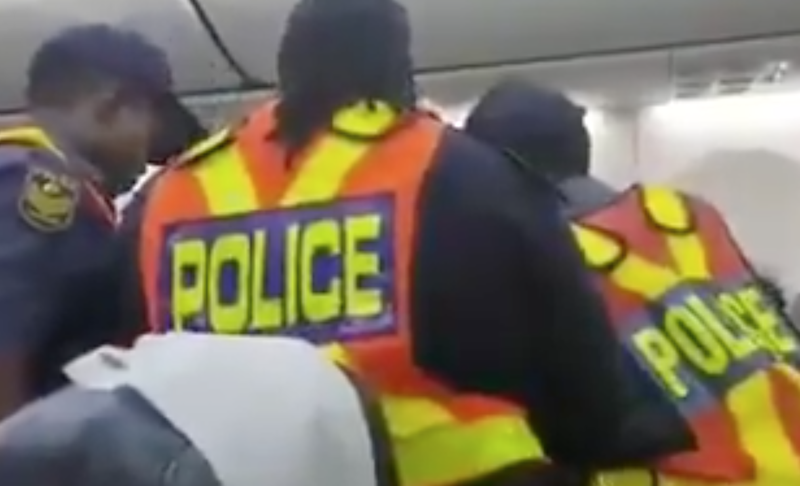 A passenger was forcibly removed from a Kulula flight from Durban to Johannesburg on Sunday for being 'unruly'. Video footage has emerged showing the removal of a passenger on a Kulula flight from Durban to Johannesburg. Earlier in the week, another video emerged showing the passenger in a scuffle with police. Apparently, the passenger confronted the captain over a flight delay and the captain ordered her off the plane. Passengers on the flight came to their fellow passenger’s defense, saying that she had every right to complain. In the video, the passenger tells the police that she told the captain that she was angry because they were kept at the airport for five hours. The flight was scheduled to depart at 21:55 on Friday, but the aircraft only left after 03:00 on Saturday. According to Kulula, the delay was due to weather conditions.